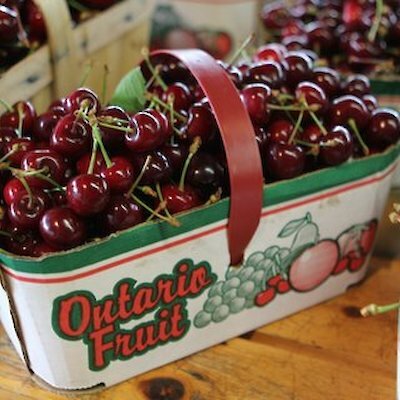 Did you know that over 90% of Ontario’s tender fruit crop (peaches, pears, plums, prunes, sweet and sour cherries, strawberries, and raspberries) come from the Niagara Peninsula and the majority of these fruits are grown in orchards found in Niagara on the Lake? The area accounts for 95% of Ontario’s peach crop and 81 % of Canada’s peach harvest. 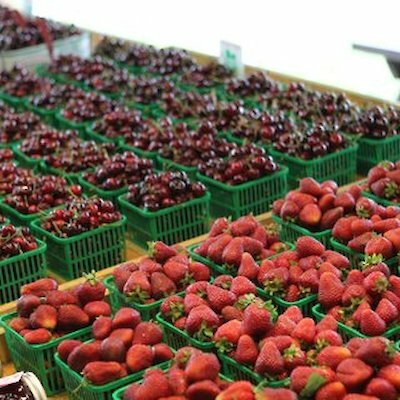 This is the perfect time of the year to take the lovely drive from Niagara Falls along the Niagara Parkway to Niagara on the Lake and purchase many of these fresh products from roadside stands operated by the farmers that grow the fruit. 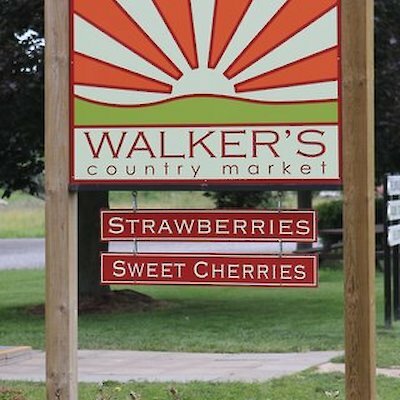 Here’s a few photos of Walker’s Fruit Market. 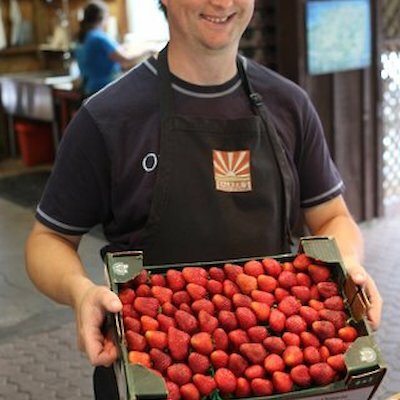 Jim Walker is holding a pallet of strawberries. Along the way, take time to sample some of the extraordinary wines made from award winning Niagara grapes at local vineyards.